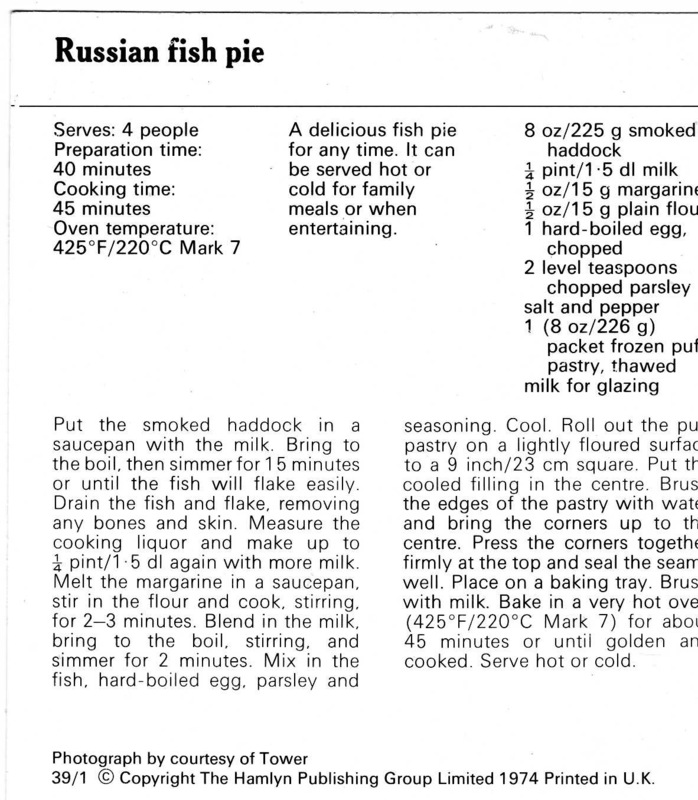 Here’s a picture of the Russian Fish Pie I made a few weeks back. I would blog it but I’ve lost the recipe card it’s from. 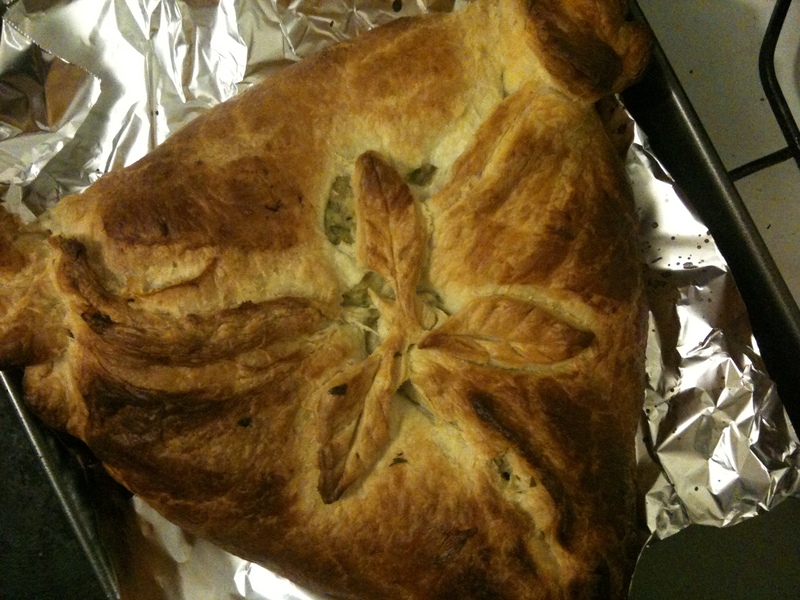 All I can say is it involved puff pastry, smoked haddock, fresh parsley and a simple roux and it was delicious. 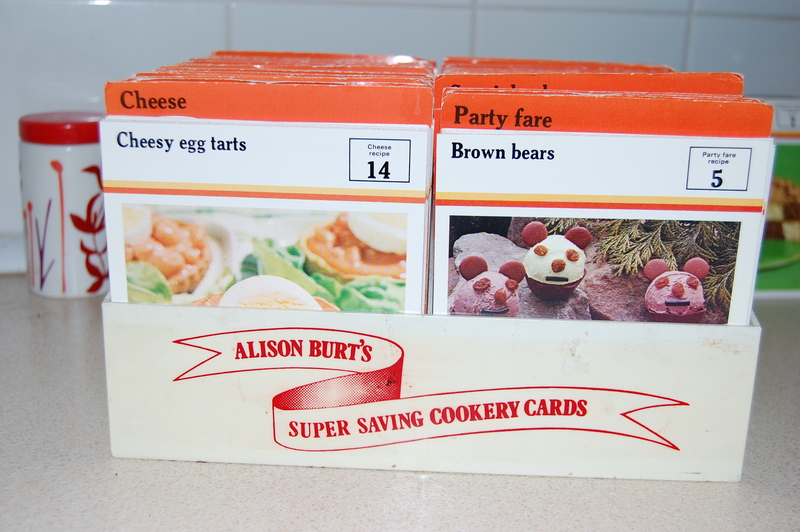 For a barbeque at the weekend myself and Sarah had a vintage cake bake-off. The rules – bake an individual cake (ie no cupcakes) from a vintage recipe, release both cakes simultaneously on the BBQ attendees, and the first cake to be finished wins. Sarah has already written hers up here, and I must congratulate her as the bake-off winner as her cake was polished off fastest. I feel compelled to point out that her cake was smaller than mine, and next time we might have to think a bit harder about the rules! (nb – am not bitter). The cake I chose to make was a Cherry Cobblestone Cake, from my current favourite recipe resource, the Alison Burt Super Saving Recipe Cards (note to self – use other recipe books). Two recipes from Alison Burt’s Super Saving Recipe Cards (first seen here in a spectacular cake fail) which I made together on Good Friday for my dinner. A gougére is savoury French pastry with cheese, and can be small like these or larger with a filling. Alison Burt’s recipe is for a larger gougére with a mix of liver and veg in the centre. The picture shows the dish tastefully arranged against a bit of red cloth, which is quite restrained compared to the presentation on the other recipe cards. The food photographers must have got bored by the time they got to the Pastry and Pies section. The food itself looks like someone was (neatly, admittedly) sick into a baguette.